It’s the most exciting time of the year... and what better way is there to get into the yuletide season than with a Free MP3 Download!The Nigerian-Based Gospel artiste has released her Christmas single The First Noel, and in the spirit of giving and sharing, the songbird is giving away her latest Christmas single to all her fans. The track which is a remake of an All-Time favourite Christmas song is bound to get you into the Christmas groove. Her Debut single I Lift My Hands which was released in July 2014 gained huge Airplay on various radio stations, and topped the ReverbNation Charts a week after it premiered. 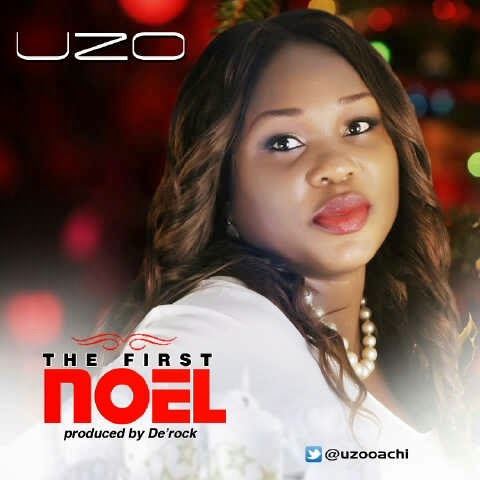 In her usual style of Inspiring and Uplifting beats, Uzo puts in a unique blend of R&B and Hip-Hop into this Christmas track, without losing the festive thrill. The beautiful and anointed worship leader wishes all her fans a Merry Christmas and an exciting 2015.